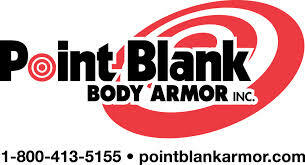 Point Blank Solutions, Inc., a leader in the field of protective body armor solutions, today announced that its wholly owned subsidiary, Point Blank Body Armor (“PBBA”) has been awarded a three-year contract to supply its NIJ .06 compliant, Hi-Lite(TM) Level II body armor system to the Detroit Police Department. The Point Blank Solutions Hi-Lite(TM) series is rigorously tested to meet or exceed Military V50 Specifications in accordance with MIL-STD-662F for 2-4-16-64 gr, RCC fragmentation, exceeds the NIJ 0101.06 standard for bullet resistant armor and comes equipped with a Patented Self Suspending Ballistic System(TM) which features stretch neoprene shoulder straps that connect to both the front and back ballistic panels, ensuring optimal protective coverage. The system also includes Akwadyne(R) moisture wicking inner materials which, moves moisture away from the body and aids in the evaporation and cooling process for increased comfort. Both the male and female versions include trauma insert pockets (for add-on trauma plates) which provide increased blunt trauma protection, as well as added accessories for comfort, increased coverage and safety. Detroit, MI is currently the 11th largest city in the United States with over 910,000 residents and close to 5,000 law enforcement professionals in service. PBBA will be supplying, both male and female soft body armor solutions to the Detroit Police Department, with purchases varying in size and duration over this initial three-year period. Additionally, the contract calls for two, one-year extensions.